Let's stop trying to squeeze blood from a turnip. Green movement diversity watchdog, Green 2.0 released telling data last week on the American environmental movement's top 40 NGOs. Three years after the publishing of State of Diversity in Environmental Organizations, the new "Transparency [Report] Card" shows that "staff, leadership, and boards of mainstream environmental organizations and foundations are still overwhelmingly white." The historical roots of "the diversity problem" are 400 years old in the United States and are deeply etched into archetypal patterns that are as old as humanity. What are the remedies in the face of THAT reality? What might happen if we stop harping on the surface problem and make new, deeper, evolutionary [maybe even joyful] meaning out of our Sisyphean lot? Certainly we can do better than to fixate on the problem and thereby sink deeper into the morass! Green 2.0 data indicates that senior staff of environmental NGOs is 86% white and 76% male. Boards are 78% white and 86% male based on NGO and agency submissions to GuideStar as of April 1, 2017. Non-profit boards are only 5% people of color (POC). And a 12% to 16% 'green ceiling" on hiring POC has been in place for decades despite: 1) the rapidly increasing diversity of the American population, and, 2) the disproportionately devastating impact of climate change and resource depletion on communities of color. This is hardly a surprise in today's "America First" political climate. Updated 2.0 research bares out the reality that an impenetrable "green insiders club" has no intention of factoring the participation of eminently qualified people of color into its work in a significant way. The club can't be expected to act any other way. Lacking genuine affinity with people of color, it has zero enduring incentive to behave differently. Leadership of the environmental and philanthropic eco-behemoths understandably reflect the markets to which they are beholden. The pervasive, “unconscious bias, discrimination, and insular recruiting” identified by Green 2.0 as barriers to attracting and retaining people of color in mainstream "big green" NGOs are also alive and well in “fringe grassroots” environmental networks. Researchers note that the Transition environmental movement for example is run and populated by middle aged-to-elder, middle and upper middle class, highly educated, post-materialist progressive white people. Since its inception, Transition has failed to find ways to attract and retain people of color. Transition has been criticized for its apolitical nature, ….lack of attention to class and power dynamics, lack of diversity, and difficulties in connecting local efforts to global concerns (Connors and Peter, 2011; North, 2011; Smith, 2011; Stevenson, 2011; Felicetti, 2013, Staggenborg and Ogrodnik (2015). As is the case with mainstream "big green" NGOs, implicit bias and insular recruitment hobble Transition US (TUS) leadership which continues to miss opportunities to meaningfully address these messy questions. Over the course of a decade, studies and testimony emerged indicating that the dominant white culture within the American Transition movement remains unexamined by those steeped in it. Informational webinars and revolving door best practice conference calls have not helped. Tinkering around the edges of structural flaws consigns Transition initiatives to skimming the surface of resilience-building with those who look just like themselves. It didn't occur to TUS for example that the location chosen for this July's first, benchmark national gathering, St. Paul. Minnesota, the site of the Philando Castile murder in July 2016 might be off-putting to conferees of color. Leadership proports to encourage diversity while oblivious to the fact that people of color might be loathe to navigate the truck stops and highway patrols as they travel to the gathering through red-state heartland in Indiana and Wisconsin. There is much to be said for being honest about an organization's diversity plateau. If Minnesota-esque spaces are comfort zones for the Transition US constituency, it might be authentic and wise for TUS to shed the touted diversity aspiration and own its white-centeredness. Nevertheless Transition town potluck suppers, community gardens, and solar arrays are important in that, these feel-good projects relieve climate change anxiety for a specific constituency. Just that much substance, in and of itself is helpful for some. The final Green 2.0 finding: Lackluster Effort and Disinterest in Addressing Diversity is often the integrity line-in-the-sand for many environmental activists of color who dare to stand in their truth. It's one thing for environmental organizations to fall prey to their own unexamined biases around diversity. It's another when damaging biases clearly rise to the surface for examination and are met with defensive fragility and the indifference afforded by privilege. People of color immediately intuit that expecting a shift in consciousness in such organizations, which would require deep self-examination, is tantamount to waiting for Godot. So we simply cease, or selectively show up in those white spaces. This is wise self-care 101. Such is the diversity landscape in both "big green" and "grassroots" environmental NGOs as climate change accelerates and the Environmental Protection Agency's (EPA), Office of Environmental Justice is eviscerated. 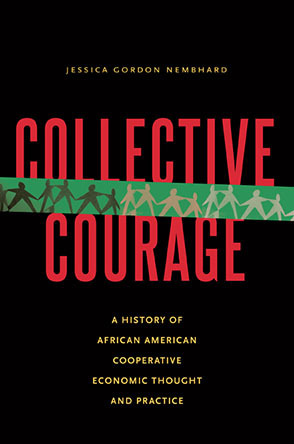 Historically, movements that counter structural racial bias derive purpose by resisting, guilting, demanding, demonstratively railing against the system, lobbying, devising accountability tests, and attempting system reform from within. These approaches are what eco-Buddhist Joanna Macy calls "holding actions" —important in the short run, but insufficient for creating transformative change. They invite activists to deconstruct, analyze, strategize and thrive in the seductive energy of the problem. The problem is externally objectified, and the solution is perceived to lie in external action. Yet, the unrelenting fixation on the thorny problem repeatedly results in more aberrant versions of the same problem, — the advent of the current US administration is a prime example. Why not step entirely out of that arena which consistently comes up short, and focus our attention elsewhere? Cue footage of African American students' training in internal self-discipline and methodical self-mastery as they prepared to desegregate southern lunch counters. Such internal mind training in servce to the whole offers a fleeting glimpse of what "another mode" of movement meaning-making might look like. Green 2.0 reports are essential as touchstones for contextual awareness. They are stark and helpful reminders that people of color didn't even cross the minds of the system's creators, nor their descendants who now lead both "big, and grassroots green" organizations. So, POC would do well to stop allocating precious time to trying to cajole either environmental contingent into being something they are incapable, and/or unwilling to be. Transformative 21st century activists are those who are brave enough to let go of practices that may have worked in yesteryear. Complex, multi-faceted, interconnected 21st century challenges require new, evolutionary, regenerative ways of thinking. Effective activists soberly accept that society is headed off of a cliff and methodically [joyfully] cultivate internal self-awareness, and skills that will enable them to sprout wings in mid-air. They will live in the space between the fiery DNA of activists on whose shoulders they stand, and, an internally-informed, complete surrender to the uncharted territory ahead. This revolution is about humanity's evolving internal landscape. It will be televised, tweeted, decentralized, and will shift the consciousness of a robust, grounded remnant.